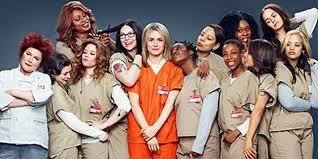 Orange Is the New Black, Season 2: An Excuse to Sit On Your Couch for 12 Hours Straight! 1. Is it about fashion? That sounds fun. 2. If it’s not about fashion, it’s probably a violent drama and I already hate it. 3. But if I like it, it’s on Netflix, which means that I can watch the episodes at any pace that I want, which is so appealing. 4. If so many people like it, it’s probably very good, therefore I will probably not like it. I am quite contrary, and I have questionable taste. 5. I’m hungry. I want a hoagie. Then I probably went and ate a hoagie. Man, that sounds so good right now. What were we talking about?